The Australian Broadcasting Corporation (ABC) is Australia´s state-owned and funded national public broadcaster. It plays a leading role in the history of broadcasting in Australia. With a total annual budget of A$1.22 billion, the corporation provides television, radio, online and mobile services throughout metropolitan and regional Australia, as well as overseas through the Australia Network and Radio Australia and is well regarded for quality and reliability as well as for offering educational and cultural programming that the commercial sector would be unlikely to supply on its own. Founded in 1929 as the Australian Broadcasting Company, it was subsequently made a state-owned corporation on 1 July 1932, as the Australian Broadcasting Commission. The Australian Broadcasting Corporation Act 1983 changed the name of the organisation to the Australian Broadcasting Corporation, effective 1 July 1983. 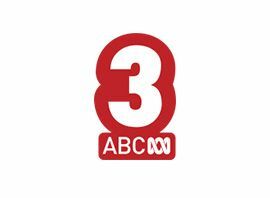 Although funded and owned by the government, the ABC remains editorially independent as ensured through the Australian Broadcasting Corporation Act 1983. The ABC is sometimes informally referred to as "Aunty" originally in imitation of the British Broadcasting Corporation´s nickname.